4.2 out of 5 based on 52 bloggers and 4 commenters. 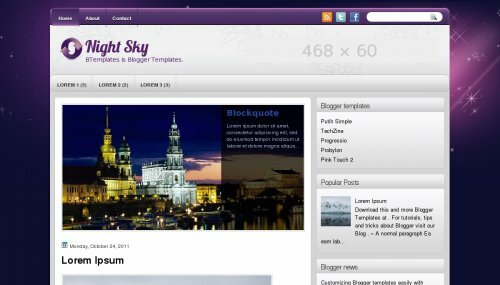 Night Sky is a free blogger template with 2 columns, right sidebar, fresh look, rounded corners, an exclusive design for Blogger, ads ready, slider, social bookmarking icons, girly looking, gradients and vectorial elements. I really want to use this but everytime I try put it on my blog the slideshow doesn’t show up! Why is this happening?